Making movies on your smartphone has always been simple, but more often than not you can expect that the quality will suffer because of shaky images, out-of-focus lenses, and sound that’s better left to the deaf. Now all that can change with the help of some unique hardware and cleverly designed software that makes it easier than ever before to create studio-quality movies with nothing more than the iPhone in your pocket. Sure, you may never be able to get an IMAX-ready flick out of it, but with these clever add-ons and professional-grade editing apps, you might just be the next big director in Hollywood without even realizing it yet. Just imagine what Spielberg or Scorsese could have done if they had the kind of technology we have available to us today? Out of all the options we’ve listed here, additional lens attachments are where you’ll probably be dropping the most cash, and for good reason too. 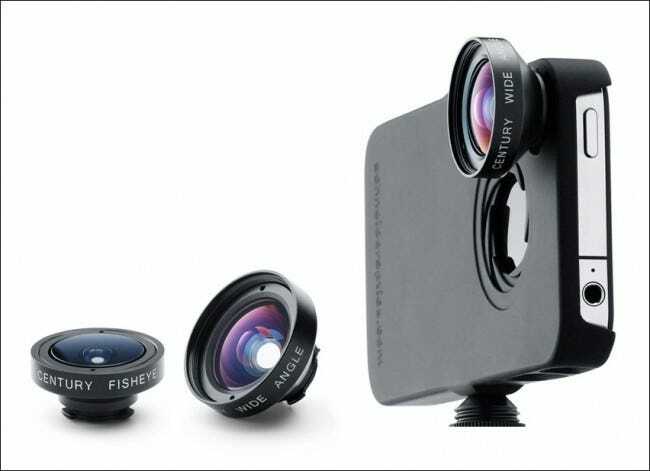 The iPhone camera is good enough on its own, but with these add-on lenses, you can step your moviemaking game up far beyond anything else that your family might record in their free time. Depending on the kind of movie you’re shooting, you can choose from everything like the lower-end CamKix lens set which comes with a fisheye lens, wide-angle, telephoto zoom (8x), and macro attachment all for just $34.95. The kit also comes equipped with a mini-tripod for stable shots, as well as a microfiber cleaning cloth to keep all your glass as shiny as the day you bought it. iPhone auteurs also have the option to upgrade the onboard camera even further by dropping a little extra coin, specifically with the iPro Lens Kit which features many of the same lenses we mentioned above. The difference is the iPod contains higher quality glass that will take photos and record video at whichever resolution your phone is set to max out at. Both kits are built standard for the iPhone 5 and 5S, but also have adapters which will allow them to fit snuggly on the back of an iPhone 6 or 6+. We’ve all been there. You’re trying to watch a video of your niece’s ballet recital but halfway through you have to shut it off because your brother couldn’t keep his hands steady for more than a minute at a time. Shaky videos and cell phone footage go so hand-in-hand by this point, it’s more of a surprise when a video is stable than when it isn’t. Luckily, if you’re trying to get professional-grade footage, there are a number of steadicams which will help you to keep your shots focused, stable, and looking as good as anything you’d see on the big screen. Our favorite of the bunch is the Smoothee Steadicam, which uses a five pound counterweight to keep all your shots as buttery smooth as possible. 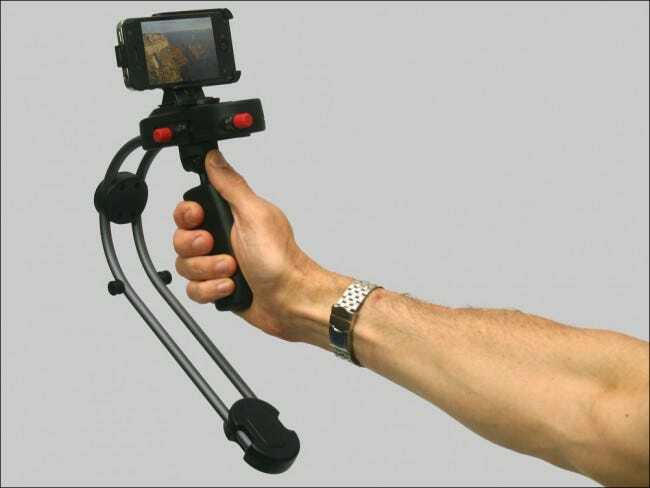 Just attach your phone into the mount, grab the handle, and start stacking up that footage! If you’re not willing to drop more than $100 on a rig, the StabylCam can be had for just a bit less, at $75. Unfortunately the materials required to make a decent steadicam keep costs relatively high, but the shots you get as a result are well worth the upfront charge. With GarageBand, you won’t even need to ring up John Williams to give your movie that professional-level score that will have everyone humming the tune at work next Monday. Available for all models of the iPhone from the 4 and above, GarageBand for iOS enables you to create sweeping, gorgeous scores that are sure to keep your audience enthralled from start to finish. Choose from over 15+ different digital instruments to play, sample from the microphone, or integrate your own sounds recorded from an outside source and layer them together to create the environment and atmosphere that fits your film the best. GarageBand is admittedly a bit simpler to use on an iPad than an iPhone, but both versions are equally feature-rich and come equipped with all the tools you’ll need to create the next big soundtrack for your Sundance debut. 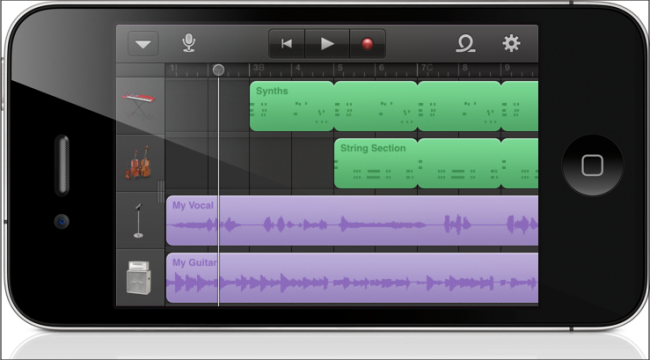 Download GarageBand for iOS 8.0 and above here. Last, but not least, comes the editing. As any director will tell you, a movie is only as good as its editor, and with iMovie you can create seamless, beautiful movies up to three hours long at a time. Technically the base iPhone does come with its own video editor, but it’s limited almost exclusively to taking screenshots and trimming the size of the clip itself. With iMovie, the choices shoot far beyond those cramped capabilities, including the option to add filters, transitions, logos, and even the ability to choose from a predetermined bank of animations that can be used to pull from one shot to the next. You can download iMovie for your iPhone from the iTunes link here. Just because your friend has a fancy DSLR doesn’t mean you can’t shoot pictures or movies that look just as good (if not better), than anything the pros are putting out. Make that next family video pop off the page with these simple tools and techniques.